“You have reached your destination!” Many of us hear these words if not on a daily basis. Honestly, I don’t even want to look back at the times before the satellite navigation. Those were the times of hand-drawn maps, road atlases and being lost. A lot. Now everybody has a satnav device for their personal use. What’s even more important, trains, ships, planes and even robots use the satellite navigation too! But how does the technology actually work? Get a radio signal from a satellite on your receiver. The signal can include the time when it was sent and the location of the satellite. When you receive the signal, the distance to the satellite can be easily calculated as you will know how long it took for the signal to arrive to the receiver (and we know how fast the signal travels, right?). The distance to the satellite will give you the area of your possible locations. Not yet good enough! To narrow down your location area take the second satellite and repeat the process. And finally add the third satellite. Here you are! With just 3 satellites you will know your position on the “mean sea level”. But at least 4 satellites are needed to determine your accurate location if you are up in the mountains. In practice, 6 satellites are usually visible from each location. Relativistic effects: as the clock in the stronger gravity on Earth will go at a different speed (slower) than the clock in the weaker gravity on the fast moving satellite! Atmospheric effects: as the signal can be distorted when it travels through the Earth’s atmosphere. To check how the current atmospheric conditions in the area affect the signal, we can perform test measurements. All we need to do is to send a signal from the satellite to the ground station. Because we already know its location, the signal will give us the error value. This value can be then applied to correct the signal coming to the receiver. Of course, for the technique to work, we need the ground station to be as close to our receiver as possible. Therefore, the more stations across the globe, the better! Many other things can affect the signal. Solar storms and satellites configuration can attribute to the accuracy. The receiver’s position on Earth is also important, because trees, tunnels and tall buildings can block and mirror the signal. Who provides satellite navigation services to the public? Status: In operation since 1995. Opened for civilian use in 80s. Status: Developed at the same time as GPS. In global operation since 2010. Status: Limited operation since 2016. The full cluster of satellites is expected to begin its operation in 2020. Status: Expected to begin its operation in 2018. Satellites in orbit but some have problems with atomic clock. Coverage: India and surrounding areas. Global coverage program is under development. Status: BeiDou-1 (Regional test cluster) was in operation 2000-2012. Coverage: BeiDou-1 China and surrounding areas. 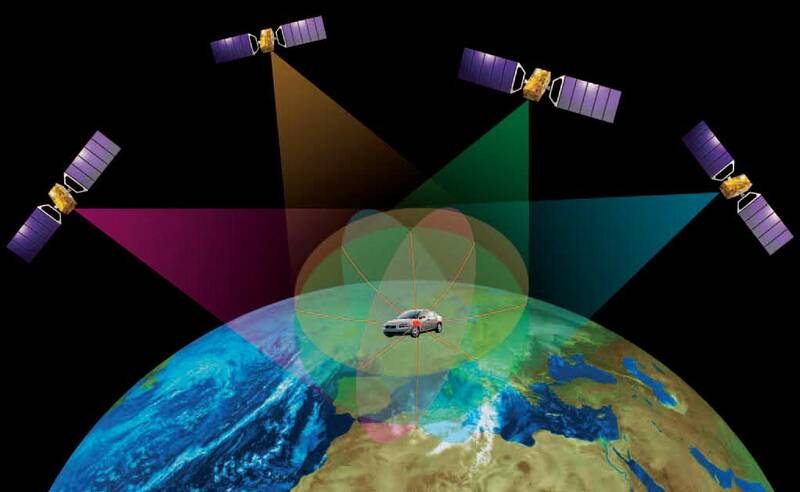 GPS and GLONASS are the main global satellite navigation providers. GLONASS works on higher latitudes than GPS, but GPS gives a better accuracy worldwide. Some modern devices access both GPS and GLONASS satellites, which is great for us users! The Chinese BeiDou, once complete, might become a serious competition to GPS. But as far as it is compatible with GPS and GLONASS, it will provide an even better satellite coverage! May you always arrive to your destination!